In early March, more than 200,000 people living in Western New York lost power for an extended period of time after hurricane-force winds associated with a late-season storm knocked over trees, utility poles and more. Employees working on behalf of local utility companies scrambled as best they could to restore power as quickly as possible, but it left many customers without electricity as temperatures outside plummeted and snow fell in the region, as US News & World Report covered. Even in 2017, a storm still has the potential to knock out power to homes – in some cases for days at a time. While living without power can be anywhere from inconvenient to life-threatening, depending on the time of year and the length of the outage, a backup generator can provide the necessary electricity to keep the lights on even when the lines are down. What’s more is that a generator can also keep important systems of your home powered on in any situation. Many today rely on devices like home security systems or smart home devices to keep their homes comfortable, secure and safe. When the power goes out, these devices go out too, which means that your home effectively loses these capabilities. Smart home devices today are a big part of home automation, which not only helps make your home more accessible and convenient, but also more efficient. 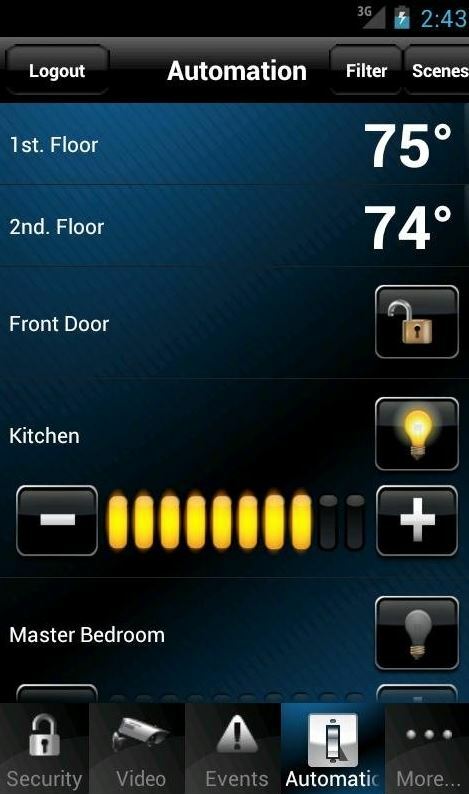 If your thermostat is a smart home device, once the power goes out, you have no way to control the temperature or control lighting. Keeping these and other select circuits connected to a backup system, however, can allow you to keep the heat on even in these tough circumstances. Backup generators also allow you to keep your home or business protected by your security systems in the event of an outage. Most of today’s backup generators can be connected directly to select circuits in your structure, which means that they can keep the most important parts of your home or business powered on, like a refrigerator, smart devices, security systems or central room lighting. Many generators can also be connected to a natural gas line, which means that they can run nearly continuously for as long as you the outage lasts. Whether your power goes out for a few minutes, a few hours, or, in a worst-case scenario, a few weeks, you won’t need to worry about how you’re going to survive in your home. You will be able to keep your smart tech engaged, your security system turned on and the lights and heat powered so that you can go about handling your business as usual in even the stormiest conditions. NYCONN Security Systems can help you make sure that you’re ready by equipping your home with a home automation system, a security system or a range of other systems designed to keep your house safe. We can also speak with you more about why installing a backup generator is a good idea and work with you to make sure that the most vital components of your home are connected to the backup system so that you can keep going even if a strong storm knocks out the grid. Learn more about our full range of services for homeowners and businesses in New York and Connecticut today by calling us at 800-783-5004.